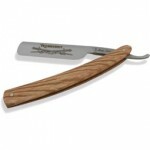 If you are interested in switching to a straight razor, great! 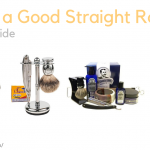 But you will definitely want to do some research into how to straight razor shave. There’s no point in buying a new razor, only to realize that it is not for you. 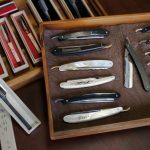 Fortunately, apart from a different technique, there isn’t a great deal that you need to learn about shaving with a straight razor, and what you do need to know is mostly good. 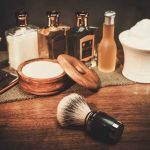 If you take the time to learn the technique as described below, and practice a few times first, you will soon be enjoying a new and improved shaving experience that you will never want to change again. Or what you really want to know is, are they dangerous? Well, there’s no denying that a naked blade against your neck is potentially very dangerous, but if used correctly (and it is not a difficult thing to do) then they are no more dangerous than any other household tool. 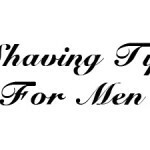 A well maintained razor (kept sharp and free of imperfections) will glide across your skin and unless you are particularly careless, there will be no cause for concern. 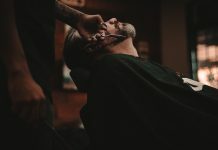 Does Shaving Take Longer With A Straight Razor? Yes and no. 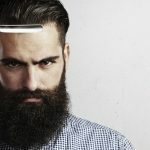 You will have to shave more carefully and do a bit of preparation when using a straight, such as stropping the blade, warming up your skin etc (see below), but as a result of a higher quality shave, you will need to shave far less frequently, so in a given week you will probably spend similar amount of time on shaving as you would with a more standard razor. I would not advise shaving when you are in a rush though. I’m going to split the process into stages. 2.) Prep the beard. Either use a hot towel on your face for a few minutes, or shave right after taking a hot shower. Soft hairs are much easier to shave than stiff ones. 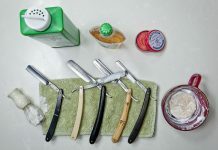 If you think this is a bit of a hassle, ask yourself why you are using a straight razor in the first place. 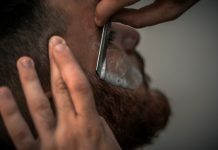 Stropping the blade will probably only take you 30 seconds once you have got some good practice in, and only a few minutes of soaking a hot towel on your face will be needed for beard prep, so you should be spending less than 5 minutes altogether on this stage. Use a brush. Don’t be cheap. Use swirling motions to lather up and make sure every whisker is covered. Even it out afterwards. Using a brush is more efficient (you don’t waste any cream) and more enjoyable, as well as being able to make sure you reach all areas evenly. Stage Three: First Pass. With the grain. 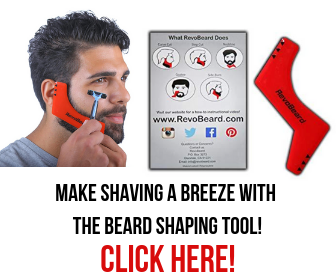 Shave WITH the grain of your beard with the first pass. This means shave in the direction the hairs are growing. For most parts of your face this will be a downwards stroke. TIP: Hold the blade at about 20 degrees to your skin. 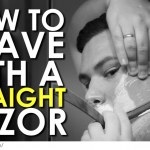 Additionally, pull your skin tight to ensure as smooth a shave as possible. You will be making three passes in total. Lather up between passes. Stage Four: Second Pass. Sideways to the grain. One final pass to go, lather up again! Stage Five: Final Pass. Against the grain. For the final pass, you will be going against the grain, this means upwards for most of your face. After that is done, use cold water to rinse off the remaining lather (cold water helps close the pores). Stage Six: Dry the blade. Use toilet paper to wipe off and soak up any excess moisture. 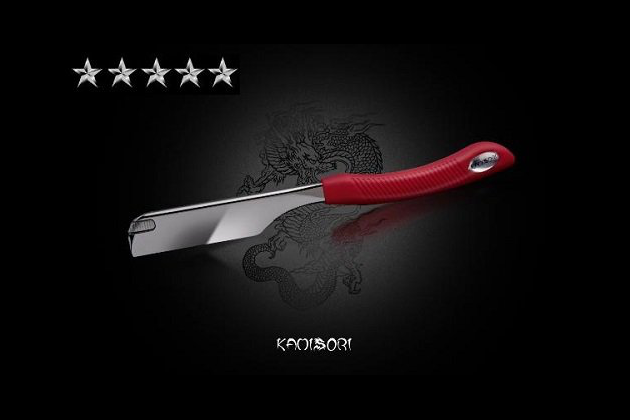 You want the blade to stay in good condition and stay sharp, so keep it dry. 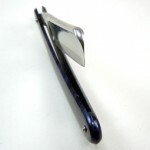 Some people will also strop the blade again, but others feel it is not necessary. For me stropping before the shave is enough, but it is really up to you. It will take patience and practice. If you are completely new, you might want to practice on balloons first (black ones are best to make sure you can see all the cream). Don’t be afraid to cut yourself a few times while you learn the ropes. Be patient, don’t shave in a rush. Don’t skip stages or try to avoid stropping. You want to enjoy this shave. This is a luxury shave. Treat it accordingly. That’s about all there is on this. 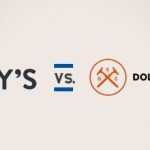 If you have any further questions or want to throw in your own suggestions then do post a comment below. Now go and enjoy being a man.